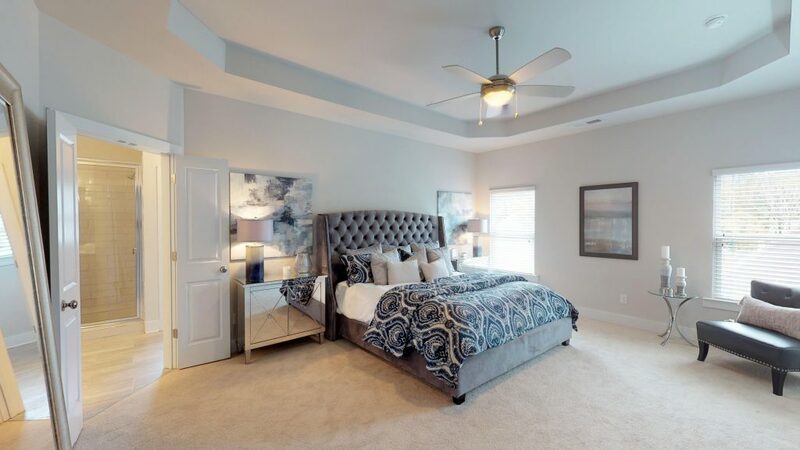 Rockhaven Homes has a new community in East Point: Hawthorne at The Villages of East Point! Now selling from the $100s near Atlanta, these open concept floor plans feature granite countertops in the spacious kitchens, stainless steel appliances and spacious owner suites. Our new single-family homes feature 3 and 4 bedroom designs. This new community makes commuting to Atlanta a breeze. Plus, Hartsfield-Jackson International Airport and Camp Creek Marketplace are just minutes away from your door. Sound ideal? Let us show you more about this idyllic and affordable new community. The new Hawthorne at The Villages of East Point offers elevation options based on your style and needs. On the left, our Ashwick plan features 3 bedrooms, 2.5 bathrooms and a large owner’s suite upstairs. 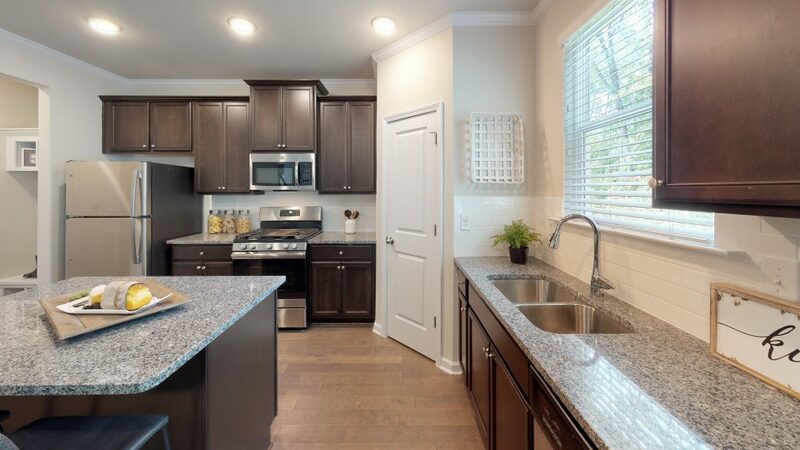 In the middle, our Oakhill floor plan offers an open concept kitchen, 4 bedrooms, 2.5 bathrooms, and 2,090 square feet. Lastly, the Springmont, on the right, also features 3 bedrooms and 2.5 bathrooms. It also offers a covered patio to enjoy in the warmer months. These thoughtfully designed floor plans keep your family needs in mind while offering room to grow as well as entertain. From the small, family-owned Unity Restaurant for home cooking to Ted’s Montana Grill, you’ll find something for every family member, craving or mood around your new home. And, when out of town guests come to visit, you’ll be close to some of Atlanta’s best nearby eateries! You’ll surely impress your guests with delicious options. Don’t want to go out? Your brand new expansive kitchen can inspire the tastiest meals you can conjure. With an extended dining space, you can entertain family and friends with plenty of room to host them all. If any of the above details on our new affordable single family community sparked your interest, now is the time to give us a call! If you’ve been renting and are ready to own your own home, join the VIP list for our new Hawthorne at The Villages of East Point today. Get exclusive info on this upcoming community that is now selling. Several homes are already under contract, so don’t miss out.